When it comes to Peacock Bass, most would have the jungles and rivers of the Amazon in mind. Malaysia would probably not even be in thought. However, the Peacock Bass has been an established invasive species for decades in Malaysia. The Butterfly Peacock Bass is one of the few species available in Malaysia. Over the years, Peacock Bass have gained a reputation as a prized game fish. Pure aggression, incredible fighting spirit and great looks – who’d say no? 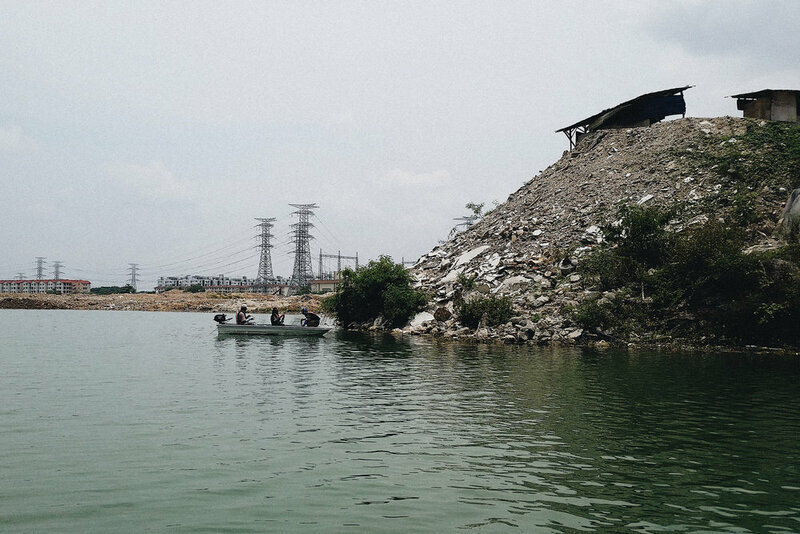 Prima Lake, Puchong is an urban lake which was formerly a tin mine. Its location right in the middle of the city might fool many of the Peacock Bass population inside. 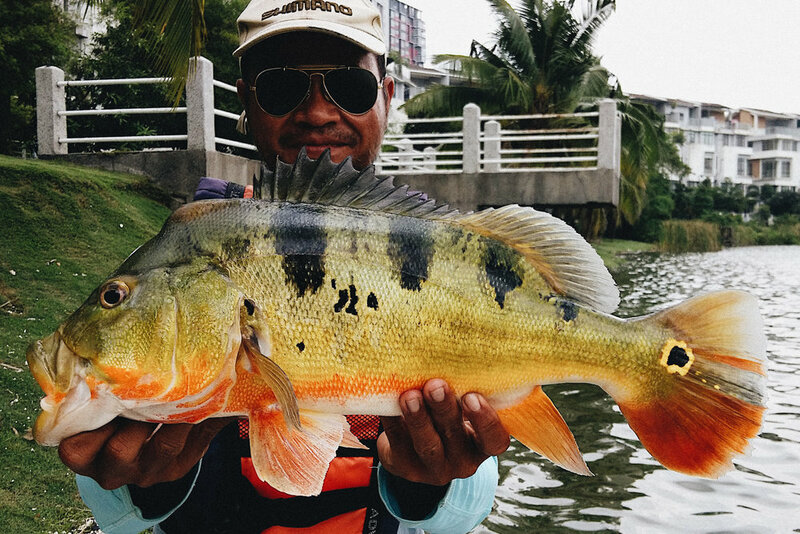 Prima is just a short drive away from Kuala Lumpur and has been a hot spot for anglers from the city to chase down these Amazonian aliens without traveling far out of the city or even the country. The challenge – Prima is a highly pressured lake and most of the time the water is clear. This means anglers have to adapt and the finesse approach is key. Unlike traditional styles of Peacock Bass fishing with big topwater plugs and big jerkbaits, the largemouth bass fishing approach has been the popular approach for Prima Lake. Jika rigs, Carolina rigs, drop shot – you name it, it’s done year round depending on what the fish want. This really sets Prima apart from other bodies of water in Malaysia where jerkbaits and topwater baits can produce both quality and quantity. Being an urban lake, Prima contains all sorts of stuff you can’t imagine hooking at the end of your rod and reel. The challenge of going finesse against powerful fish around some serious structure keeps me getting back there constantly. Fishing on Prima Lake is about finding the balance between power and finesse. Typical bass fishing setups ranging from medium light to medium heavy should be sufficient year round. When the bite gets tough, sizing down and going finesse is the way. Slowly fishing cover is arguably the most consistent producing technique on Prima. Carolina rigs with baits sized below 4” is the most common approach on Prima. During certain seasons bigger soft plastics such as 9” worms are used. Line selection largely depends on technique and water conditions. Fluorocarbon and monofilament lines are definitely a main choice for clear water conditions. Anglers fish from 12ft. jon boats powered by engines ranging from 2.5hp to 8hp. Due to the limited space, anglers usually have 2-3 rod and reel setups on board to cover different techniques. Sonars are rarely used here as anglers usually target areas with depths below 40 feet. My attempts at fishing open water structure in 50 feet of water has produced big bites, but it’s a tough gig as most boats don’t have trolling motors and long anchor lines to stay parked over a marked area in windy conditions. Fahmi Azmi is a well known guide on Prima Lake for his different approach. Fahmi has brought a bass fishing revolution to Prima, where most anglers fishing on Prima Lake now fish with soft plastics to tackle the highly pressured Peacocks. Currently, Fahmi operates a soft plastic fishing class on Prima Lake. I asked Fahmi two questions to gain his insights on Prima Lake to give readers a better understanding of the experience on Prima Lake. AI: How long have you BEEN fishING Prima Lake? FA: I began fishing on Prima Lake 3 years ago which was around early 2015. I missed the early period when the Peacock Bass fishing scene just began to blow up on Prima. 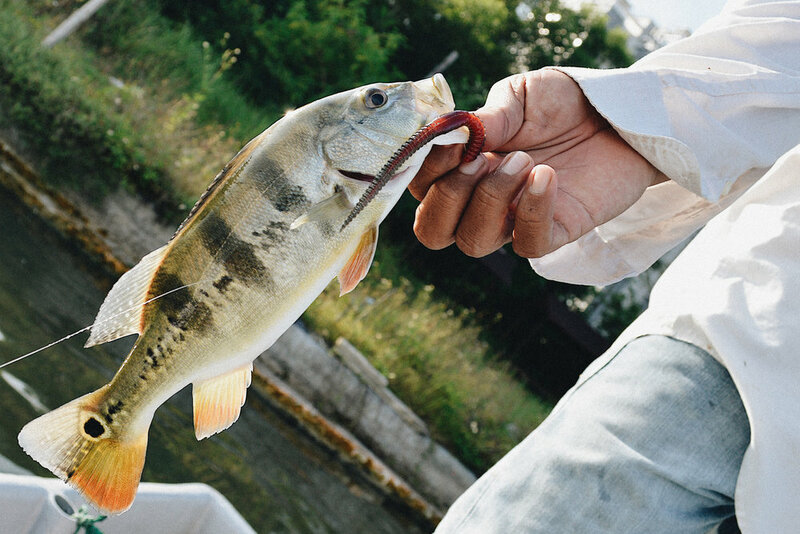 By the time I began fishing there, Prima Lake has already been pressured by heavy development surrounding the lake and high fishing pressure by both recreational anglers and fishermen consisting of construction workers around the lake looking for food. The development projects around this lake has changed the structure of the lake, and it even affects the water conditions from time to time. The high fishing pressure affects fish behavior, where personally, I think the fish are smarter and harder to fool with hard lures. Therefore, to catch Peacock Bass consistently on Prima Lake, anglers must switch up their approach (depending on fish behavior at the time) and techniques must be flexible and not dependent on previously successful techniques. AI: What sets Prima apart from other Peacock bass fisheries in Malaysia? FA: Obviously, Prima is in the middle of the city. This gives high accessibility and an economical opportunity to fish for Peacock Bass for urban anglers. There are boat rental services and experienced guides year round. The convenient location of the lake and the opportunity for fishing are two important factors for weekend warriors. Prima Lake is wide (can be fished from morning to evening) and it has depths of up to 200ft. Various fishing techniques can be applied for Peacock Bass here. The Peacock Bass here are physically healthy and fight very hard. This is due to the abundance of bait fish in the lake even though there are other predators such as the Giant Snakehead which competes for food. I hope Fahmi’s insights on Prima gives a better image of this small piece of urban wilderness. Prima is truly a gem when compared to other top Peacock bass fisheries in Malaysia such as Air Kuning and Gopeng. The urban battleground and the finesse tactics needed to excel put it up another level. Words and Photos by Amirul irfan. You can follow him on Instagram @IRFAN_CAST. You can follow Fahmi Azmi on Instagram @fishermanfromtown and on Facebook.